help reveal any biases or assumptions researchers may have that could influence the research. According to INVOLVE, the patient and caregiver voice in analysis and interpretation can “help to identify themes that researchers might miss, help in checking the validity of the conclusions from a public perspective, and highlight findings that are more relevant to the public.” 8 In fact, researchers found, including patients and caregivers in analysis “resulted in an improved ability to contextualize conclusions…, added language and culture insight and highlighted [patients’ and caregivers’] priorities for a more focused analysis.”9 More importantly, patients and caregivers can point to the appropriateness of the analysis. The value of a research study cannot be realized until the results are disseminated and implemented. Yet dissemination of research is often inadequate and restricted. Most patients and caregivers are unaware of research unless it is highlighted by media outlets or they specifically search for it. And even when found, research published in articles that are behind paywalls becomes inaccessible to the wider public. Thus, the public relies on media reports that may sensationalize findings or must put significant effort into seeking out research on their own. The Research Loop gives patients and caregivers a way to provide feedback on all areas of research including design, data, and dissemination. As discussed in a previous post, barriers to including patients and caregivers mean they are often not able to be on an initial design team before the research begins. Yet, their critical eye patients and caregivers can retrospectively review the design of published research. With The Research Loop, patients and caregivers can offer feedback on the design choices made by researchers. This feedback can push researchers to evaluate why they made certain design choices and how that might have affected their results. The feedback can help researchers focus on priorities important to patients and caregivers and define better research questions. Additionally, patients and caregivers can suggest design improvements or new directions. In so doing, patients and caregivers can provide important input to shape future research studies. Patients and caregivers offering feedback through The Research Loop can similarly comment on tables and graphs and the data available. They can also comment on which statistical analysis methods the researcher chose and data points the researcher failed to include in their study. For instance, a study that misses important demographic or socioeconomic data that could inform their findings and provide context.11 They can question what values the researcher deemed significant and encourage the researcher to consider future studies that takes these views into account. Finally, The Research Loop can be a useful tool for researchers to understand how their studies are disseminated and implemented. The Research Loop feedback form asks patients and caregivers to self-report where they encountered the research and how it affects them. This information may help researchers find areas where dissemination efforts are working and where they can improve. It can also indicate how the findings might be implemented or where there are issues with implementation and translation of the findings into practice. 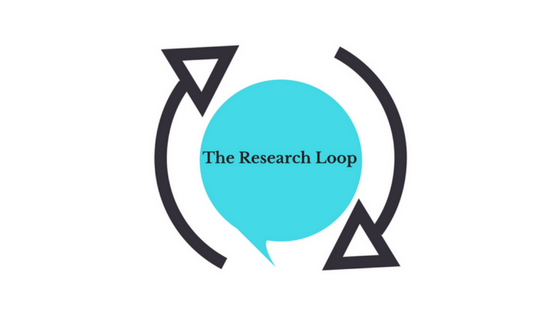 If you want to provide feedback on research and impact design, data, and dissemination of research, make sure to register with The Research Loop! Whether you’ve read research on your own, or you review one of the papers we’ve posted on our site, your feedback can make a difference! For more on how patients’ and caregivers’ feedback can have an impact, including the concepts discussed above, see our White Paper, Section VI and Section VII.